​​AMERICAS – ​CBRE released its ​​Americas Investor​ Intentions​ Survey 2017. The survey captures the investment sentiment of nearly 1,000 investors focused on the Americas in 2017. Release date was March 2, 2017. 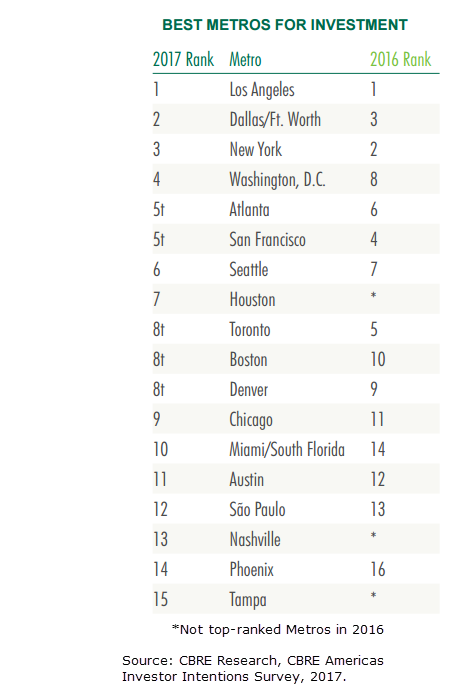 Here's an example: "Which metro in the Americas do you​​ believe to be the most​ attractive for property investment​ purchase?"